Tastes differ, and possibilities are limitless. Black Glass offers a wide variety of Decorative Window Films, as well as custom-made print solutions. Decorative (decor or design films) are a simple, quick and affordable solution to enhancement and change of any glass surface. They are mostly used for office space redecoration, interior enhancement of shops, restaurants, coffee shops and hotel rooms, but recently they’ve also had increased residential use. Main types of Decorative Window Films are frosted films, color films and fabric design patterned films, as well as custom-made films. LLumar Decorative Films offer unique style and privacy without sacrificing natural daylight. They are available in different colors, patterns and textures. If you still want something different, Black Glass team will come up with a custom-made solution. Frosted or milky window films are in highest demand among Decorative Window Films. Sunlight is able to freely penetrate, while securing privacy of the interior looking from the outside. 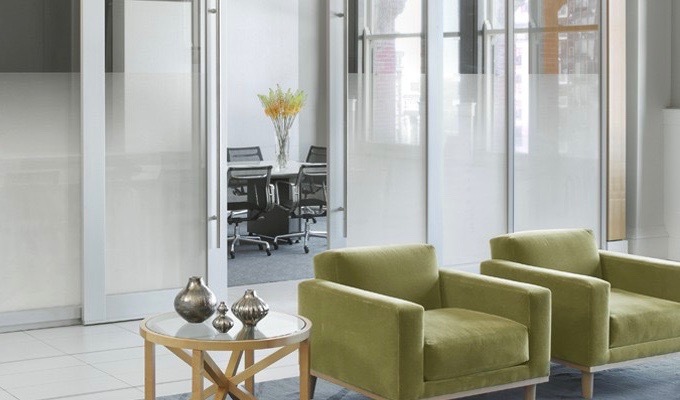 Frosted films are ideal solution for any office space that needs to be visually separated, as well as ground-floor space that would like to increase the level of privacy. 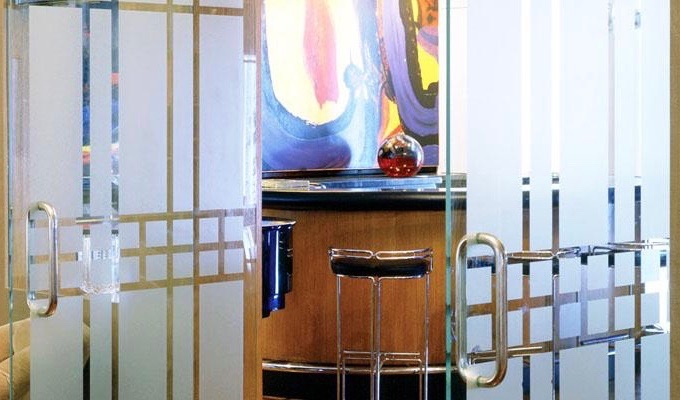 Frosted Films offer a wide variety of decorative solutions – from simple lines, to unique solutions with specific symbols or mechanically cut logos. They are available in different shades and basic fabric patterns: thin and thick lines, squares, dots etc. 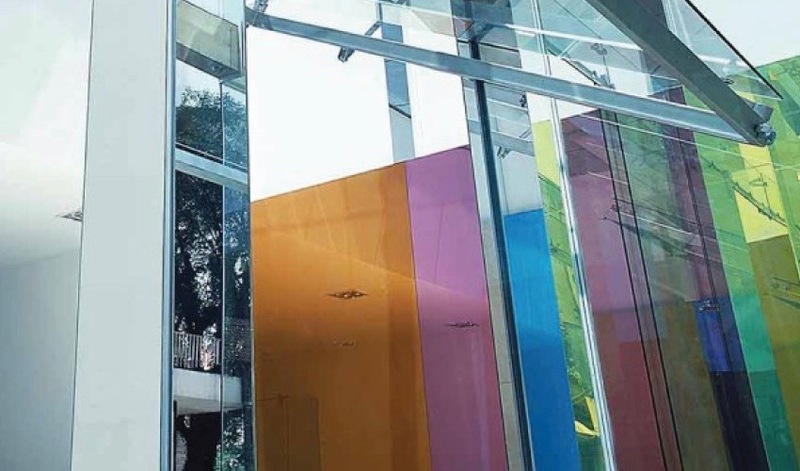 For those who love colors in their office or residential space, color films can be a quick and simple solution for refreshing glass surfaces. Color films enable the penetration of daylight, enhancing the aesthetic appearance and visually separating the space. 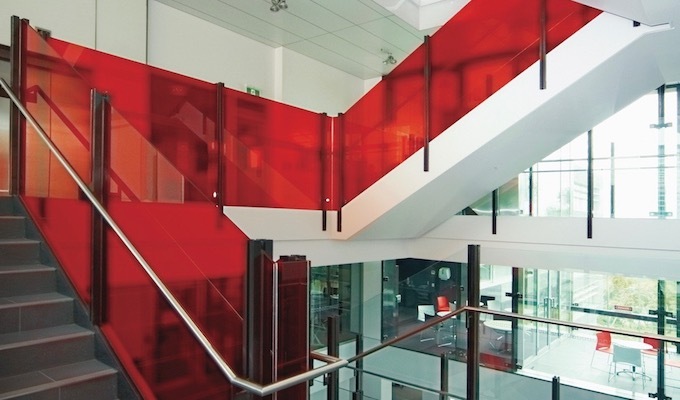 They are mostly used for enhancing larger glass surfaces, such as glass halls, separated workspaces, glass stairs and staircase etc. They are available in basic colors: white, black, yellow, red, blue and green. And for those who don’t like monochrome solutions, but prefer specific design, we highly recommend patterned window films. In addition to fabric designed films, we offer custom-made print solutions. This films are basically white or transparent and they are mainly used for promotions and advertising. That is why they are called advertising or branded films. Patterned films can be installed on the flat glass surfaces, metal and PVC surfaces, and they are usually seen in window shops. These films are easily maintained, and can be easily removed, bringing those glass surfaces to their initial state.